Fiber Optic Cable in San Antonio? PRONTO??? This afternoon I was driving up Jesus Garcia, my street in San Antonio, about a block from my house when I noticed a crew of workers on ladders stringing black cable on the telephone poles. 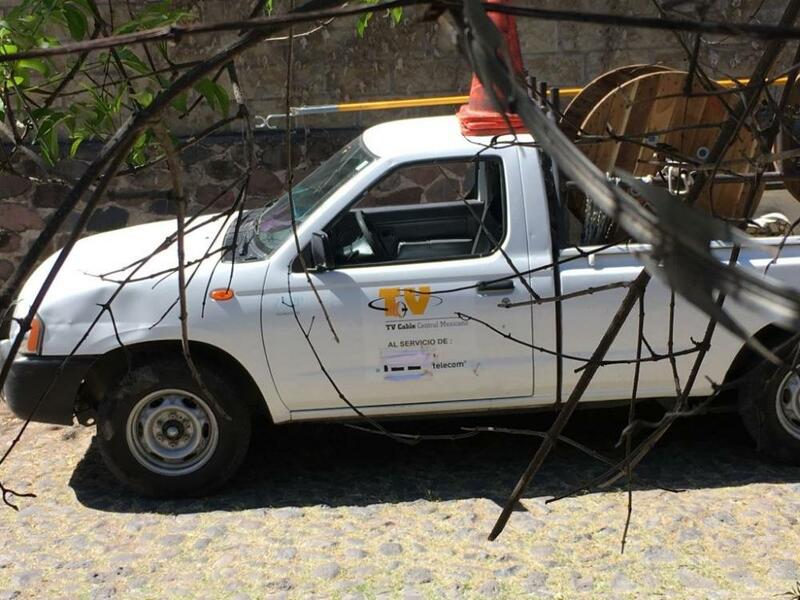 I thought this was strange since they did not look like Telmex workers and the truck with the large wooden spool did not have any markings. Being the nosy sort I pulled over and got out of my truck to see what was going on. It was just after 2 and they were wrapping up for the day so they did not have much time for this curious Gringo. Not expecting the answer I got i asked "Is this for the Internet", and the answer was "Yes". Next I asked the name of the company and he mumbles something that I did not understand....something fibra. I rushed back to my truck and got a pen and scrap of paper and asked him to write this down and he wrote I Fibra (not sure if there is a space). My pulse now racing, I asked where the company was located...Chapala. What is the telephone number? He said he did not know and they were finished for the day and gone. The last thing I expected is my little berg getting fiber optic cable before the larger towns on either side and the company is not one that has been discussed here. I swear that I was totally sober, but maybe i was having some sort of optimistic delusional episode since my top download speed of 3 - 4 has limited most TV streaming options and creates other problems. 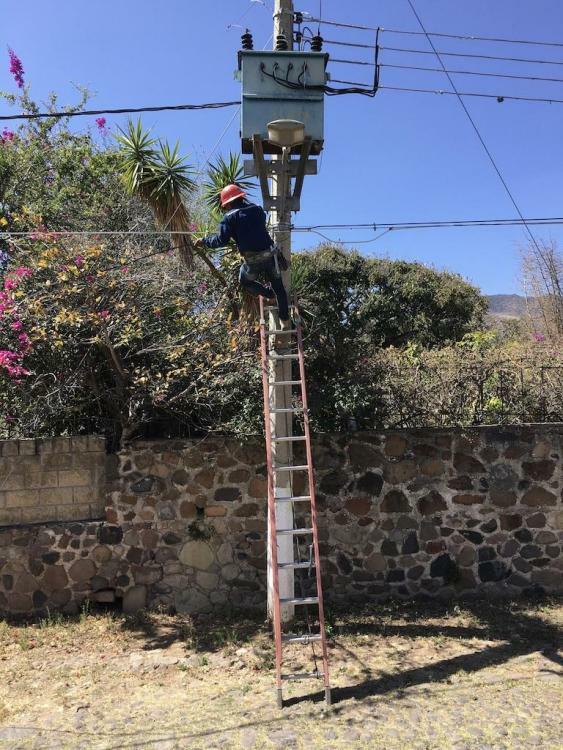 For 11 years I have been stuck with a huge monster dish (and a smaller one) on top of my house with limited channels and of course blackouts during the rainy season. Plus I pay $75 a month just for basic Dish TV, half of which I cannot get. Please don't tell me that I was having some age influenced mental breakdown and just seeing and hearing what I wanted...HELP!!! PS...I still have the scrap of paper that he wrote the name IFibra on, so I have the evidence on my side! If it was iLox, they'd be stringing wire on the CFE poles not on the telephone poles. And, just for the record, that is exactly what they were doing on San Mateo today... i.e. on the CFE poles. I have no idea of the difference between a CFE and a telephone pole. All I know is that it was a pole! A pole is a pole! Also he told me it was IFibra doing it. I have my little scrap of paper to prove it. By the way, where is San Mateo? Ferret, I sent you a PM. CFE poles are usually made of cement, whereas telephone poles are wooden. Crew was hanging fiber cable by my house. I can't speak Spanish but they said ifibra. If the wires are being strung on the Telmex wooden poles, I’d say that it’s 100% that it’s a Telmex contractor installing FO cables. I thought the Iliox wasn’t installing their cable beyond the WalMart cross roads? Look at the picture above. They're hanging the wire on concrete electric poles. This was on a street running beside Chula Vista. Jesus Garcia Norte. ....so it’s a FO cable install for Iliox. My understanding was they were only wiring up to the Walmart cross road. If they are in SAT, then the question is will they wire Upper Chula Vista and all the way to Chapala? So who are these mysterious IFibra guys? The logo on the truck door says TV CABLE Centro Mexicano. All other contact info seems to be whited out. Maybe a mysterious company trying to get the jump of ILox!!! When questioned directly and repeatedly in front of my house in Riberas this afternoon, I could only get "Fibre for Internet and TV". Questions about Ilox, Telecable and TelMex as brand or company names got the same answer: "Other". They were being strung, as per the photos above, on the CFE poles. Telephone poles on my street and wood and on the other side of the road. The telephone cable crosses the street and is then strung to the CFE pole before coming into my house. And for electricity, vice versa. SAT was part of the original area that ILOX said they'd cover. Never heard anything about stopping at Walmart. I'm in SAT and have a contract with them. Sea is right: nothing was ever even intimated about stopping anywhere. They are doing this whole side of the lake, eventually. Awesome! I really hope this is the case, our internet in SAT has been sooooo slooooow the last 4 months. My Telcel 4G has been out quite a bit too, often only have 3G yet when I get closer to Ajijic, the 4G returns. I looked at ilox website, their mobile version is pretty old school looking which surprises me since it’s a telecommunications company. Keeping our fingers crossed fiber optic internet arrives soon in SAT! Tom Kessler is the hero behind the whole opportunity, and he has published the details here numerous times since this started, answering the same questions over and over. I wouldn't dream of bugging him yet again. All will be revealed soon enough. And the Ilox office in Ajijic should be open any day now. "Can't we open our presents Daddy?" Interests:Life in Chapala and Ajijic. My guess is that the cables are being installed by contractors, and that the employees doing the actual work may not know the identity of the company responsible for the contract. There may also be different contractors hired to install in different areas, and some of them may even have sub-contractors. ..."answering the same questions over and over. " This is a new question: "Are ILOX subcontractors in the process of installing cable in San Antonio"
I doubt he'd be annoyed or offended since so many people are puzzled at this point. Sorry, don't see it. Why would he know or care where exactly contractors are working at any given moment? Like I said, the office is opening soon; they will be much better prepared for these kind of minute bits of info. Mr. Kessler took this project on to help all of us, but not to be a babysitter. I have a friend chomping at the bit for ILOX and they were told when it is ready it will be well publicized. Just keep your shirt on folks..
What more could you want to know? Wisely, they are not giving out the hour, day, month of completion Which never happens anyway, in Mexico.